Why Visit Family When You Can Live in The World's First Floating City? Rising seas, high transportation costs, its enough to make a man move to the middle of the sea.... And be surrounded by thousands of other people in a beautiful floating city. "The Freedom Ship," a mile long, 25-story high floating city is looking to raise $10 billion so 50,000 people can live in a city completely at sea. 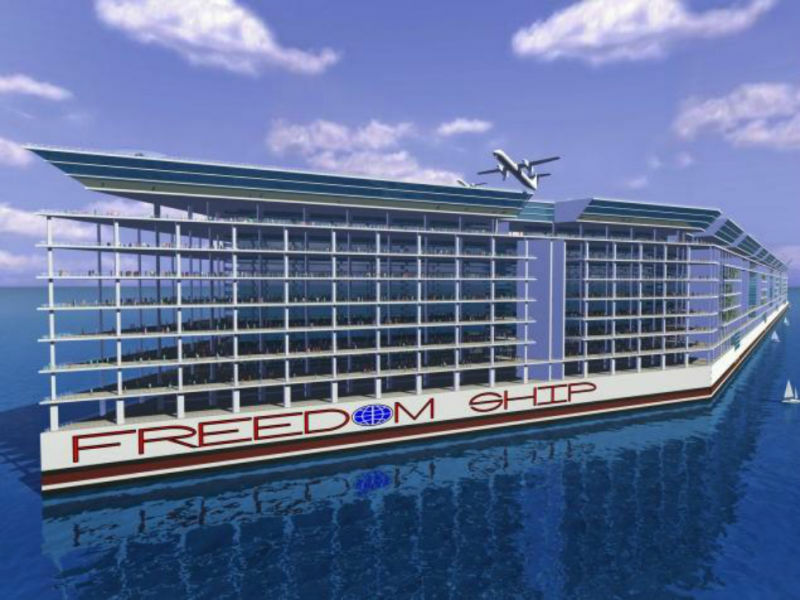 A Florida-based company called Freedom Ship International is looking to build a ship that sails constantly, never having to dock, and also has an airport, schools, ballfields, and even an aquarium (which would be different from the ocean it floats on). "The Freedom Ship will be the largest vessel ever built, and the first ever floating city," Roger M Gooch, director and vice-president of Freedom Ship International told the Daily News. "This will be a very heavily capitalised project and the global economy in the last few years hasn't been too inviting for unproven progressive projects like ours." Who on Earth would want to buy into a $10 billion luxury city that will be able to prove a haven for when the Earth becomes a boiling, sunken mess. Oh, right. Everyone. 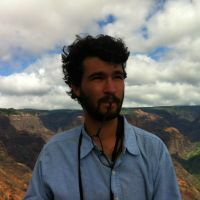 "In the last six months we're getting more interest in the project and we are hopeful we will raise the $1 billion to begin construction," Noah Gooch said of the project. In the tired wastelands of the future time, on what once were the highest of peaks, men will speak of a mystical city that houses the remaining elite, floating near what once were the polar ice caps. Freedom Ship, they'll whisper. And you, rugged survivor, will wave it off. There's no such thing as Freedom Ship, you'll think. It's just an old tale to keep men calm in the darker, most humid nights. But as you'll soon find out, it exists, and one of the old men has a secret, and if you give him your remaining batteries, he'll tell you where to find a young woman gifted with sight. And there your adventure begins. For humanity, for survival, for Freedom Ship.